This time of year, you can’t help but notice the chainsaws buzzing and the hum of wood chippers reducing twigs, branches and what were once towering trees into mulch. Not to mention, the noise coming from edgers, rototillers and other machines working hard to get the yard ready for winter. As long as the weather is nice, do-it-yourselfers will be out in force cleaning up yards across the country. If you’re planning to join the ranks, be sure to take the time to study up on safety precautions before operating equipment like chainsaws, chippers and edgers. They can be dangerous if you don’t take the proper safety measures. Don’t become the next statistic. Make sure you know how to operate the equipment before getting started. 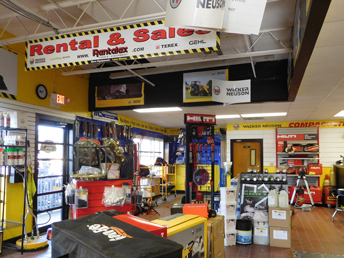 Rentalex is ready to offer safety advice on our tools and machines. 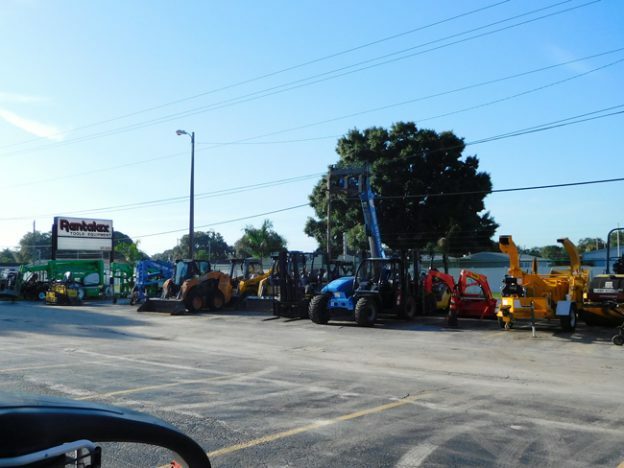 When you arrive at our store, located at 1028 Skipper Road in Tampa, Florida. Tell one of our rental experts what you want to accomplish and they will help you find the equipment you need to get the job done. Our staff is regularly trained on using the equipment and can provide you with plenty of tips for proper and safe use. Rentalex staff is prepared to demonstrate how to use each tool safely and effectively. Don’t hesitate to ask a lot of questions to make sure you know how to handle the tool you’re taking home. If, for example, you’re planning to cut down a pine tree with a trunk that’s three feet in diameter, we will help you find the proper saw and show you the right way to handle it. Our staff will recommend you first clear away dirt, debris, small limbs and rocks from the area you’re planning to cut. Then before turning on the saw, to check controls, chain tension and all bolts and handles to ensure they are functioning properly. We also suggest our customers wear protective equipment when operating the saw, which includes hand, foot, leg, eye, face, hearing and head protection. Chippers can also be dangerous when they aren’t handled in the correct way. A machine that is powerful enough to chew up tree limbs and then spit them out as little chips can easily do the same to a hand or arm, according to ARA Insurance Services. Never reach into a chipper while it is operating. Do not wear loose-fitting clothing around a chipper. Always follow the manufacturer’s guidelines and safety instructions. Use earplugs, safety glasses, hard hats and gloves. Protect yourself from contacting operating chipper components by guarding the infeed and discharge ports, and preventing the opening of the access covers or doors until the drum or disc completely stops. 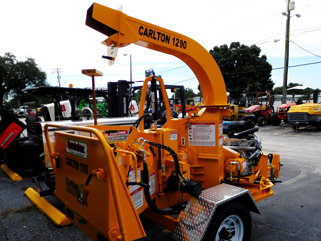 Maintain at least two tree or log lengths between chipper operations and other workers. If your chipper is jammed, make sure the engine is turned off when you try and remove the shrub or branch. No matter what kind of equipment you’re renting, chainsaws, chippers or some other tool, be sure to ask one of our rental experts to include the instruction manual and any safety information they may have. Reserve a tool for your next outdoor project by visiting us at 1028 Skipper Road in Tampa, FL 33613 or call us today at (813)971-9990.